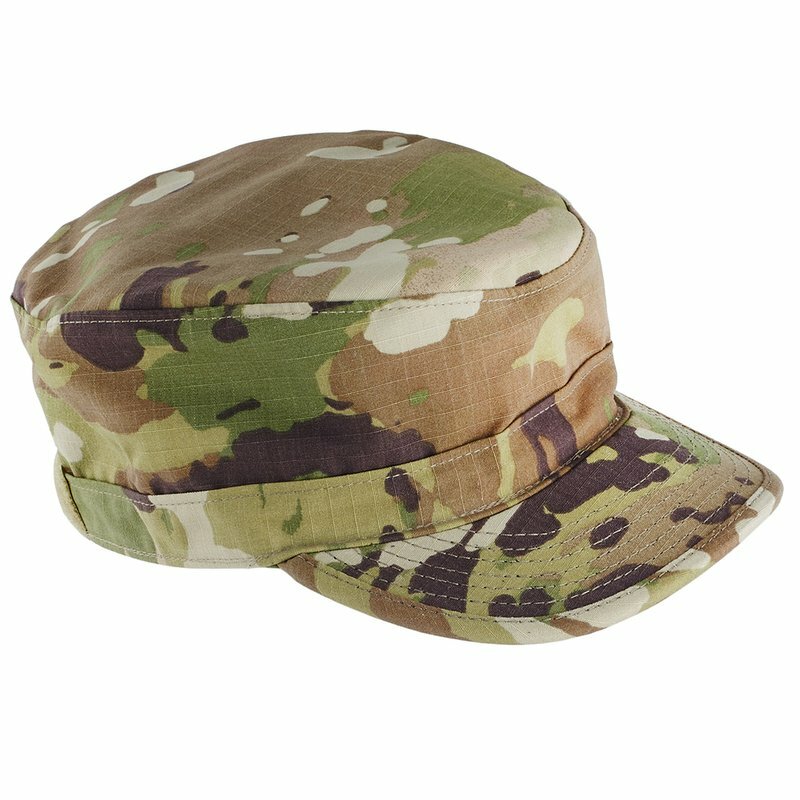 The Armu ACU-OCP patrol cap is the standard headgear worn with the Army Combat Uniform. The patrol cap should fit snugly and comfortably around the largest part of the head without bulging or distortion from the intended shape of the headgear. Before washing, remove all patches from the coat, and all items from the pockets. Close all hook-and-loop fasteners to prevent snagging. Turn the jacket and trousers inside out. Machine wash in cold water, using permanent press cycle, or hand wash using a detergent that does not contain optical brighteners. Do not wring or twist, hang dry or machine dry on low to medium setting. Do not use bleach or fabric softeners. Do not dry clean, starch or commercially hot press. Do not apply heat to any hook or loop fastener. The patrol cap has a hook and loop pad at the rear of the headgear for the nametape.